WhatsApp has become a vital part of the human kind. Hence, the data associated to it also of utmost importance. And the most important part of this data is its messages. Hence, if the messages in the WhatsApp are deleted, people search for WhatsApp recovery solution. 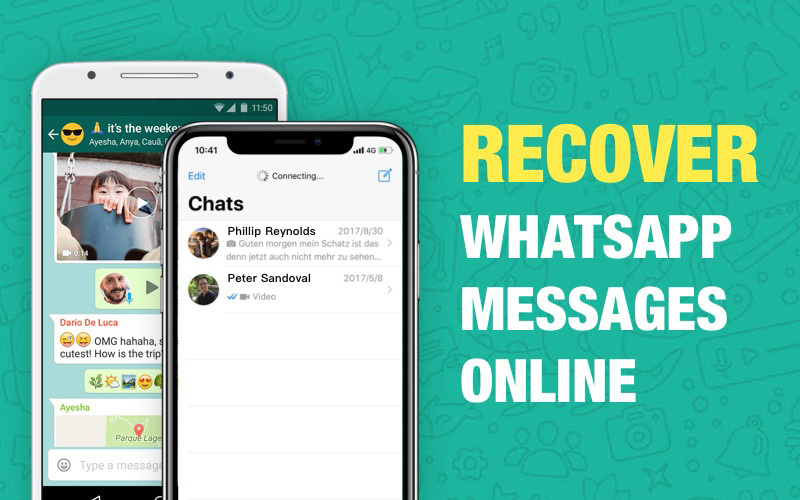 Today, we will be offering you a number of solutions for WhatsApp delete message recovery for Android as well as iOS. Let us know how to recover deleted messages from iPhone and Android. Using this method, you will no longer need the backup from iTunes or iCloud. All you will need is the iPhone that needs to be fixed. Hence, it is okay if you do not have your hands on any type of backup. Just follow the given steps below. Step 1: As soon as you device is connect to the PC, run the software. Now, by default, the "Recover Data from iOS Device" option is selected. This is the same option that we wish to use. Your device will be detected automatically by the tool. Step 2: Now, the same screen, select the option for "WhatsApp & Attachments" from a list of different options provided by the tool. This will help to recover the WhatsApp data along with deleted messages. You even have the liberty to choose "Select All" option. Now, click on "Start Scan". Step 3: After the scanning is done, all the WhatsApp files will be displayed to you. To retrieve deleted WhatsApp messages, select the option "Only display the deleted items." Once done selecting the messages tap on "Recover." You can either recover the messages on the PC or on your iPhone. In order to use this method, you will need a backup. This can be either a backup from iCloud or from iTunes. Any one of the mentioned options can work. The tool uses this back up to recover your lost messages. All you need to do is to follow the given below steps and you will be able to get your desired result. Step 1: When you connect the iPhone to your PC, select either "Recover from iCloud backup files" or "Recover from iTunes backup files" as per the type of backup you have. You need to select the mode present on the top of the screen. Next, you will need to log in to the iCloud (if you chose to recover from iCloud backup) employing your Apple credentials. Step 2: Once you are logged in, a list of iTunes/iCloud backups will be shown on the screen. Chose the appreciate backup as per your needs. Step 3: Now, choose the WhatsApp messages you wish to get back and tap on Next to begin the recovery. All the deleted WhatsApp messages will be retrieved and shown once the process is over. Step 4: You can then select to recover the messages on PC or on iPhone. You just had a look on how to recover messages for iPhone. Now, it is time for you to have a look on how to do the same for Android device. As a matter of fact, you do not need to use any software for this. The app itself takes backup of the data each day on 4 PM. 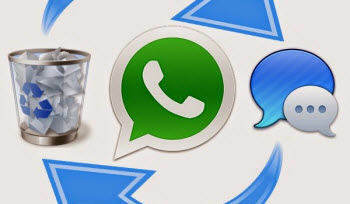 Hence, you can always restore WhatsApp messages from backup. The app has the backup of the last 7 days, which is sufficient for you to get your messages. Follow the below steps to solve your issue. You need to uninstall and install again the WhatsApp app on your device. Once the verification of your number is done, you will get a pop-up saying Backup found. Click Restore >> Next. As soon as the process of restoration in done, you will be able to see the deleted messages on your app. Long story short, we just had a look on how to recover deleted WhatsApp messages on iPhone as well as Android device. Restoring deleted messages on iPhone can be done by using Tenorshare iPhone Data Recovery (Ultdata). It is ultimate tool and is easy to use. Recovery of messages on Android can be done with the help of local backup. Was the article helpful? If yes, write to us by commenting below.